Welcome to the Evaluation Exchange! Let us introduce ourselves. We are UCL’s Public Engagement Unit (PEU) and we’ve partnered with east London charity Aston-Mansfield to pilot an exciting new project. 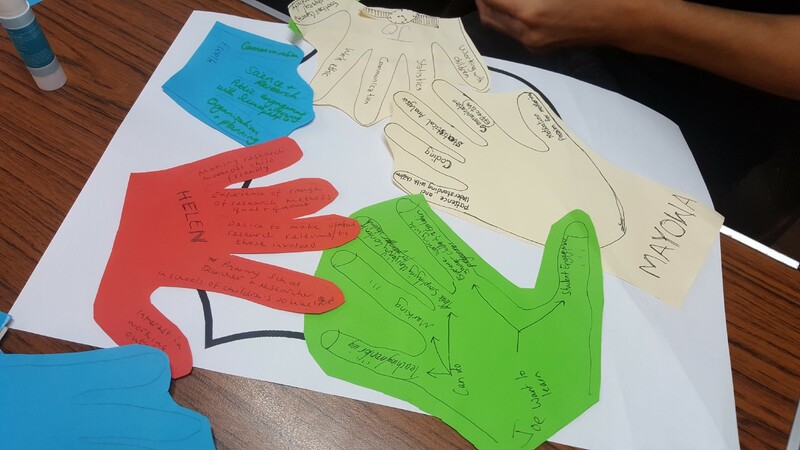 The Evaluation Exchange aims to pair the skills of 25 researchers from UCL (ranging from PhD students to Research Associates) with six Voluntary Community Sector (VCS) groups from Newham for a six month period. We will support these teams to work together to tackle an evaluation challenge — whether it be writing reports, analysing existing data or designing an evaluation strategy. The Evaluation Exchange has been funded by UCL’s Innovation and Enterprise’s Knowledge Exchange and Innovation Fund. Its aim is to “connect the know-how to the how-to” giving researchers a valuable opportunity to apply and develop their research skills and gain ‘hands-on’ experience of the voluntary sector, and VCS organisations a chance to build capacity for effective evaluations. The ethos of the Evaluation Exchange is connection, collaboration and experimentation– working together, trying new things and seeing what grows from them. The Evaluation Exchange arose from a working partnership between our two organisations. The PEU started working with Aston-Mansfield when the plans for a UCL campus in east London came into fruition. 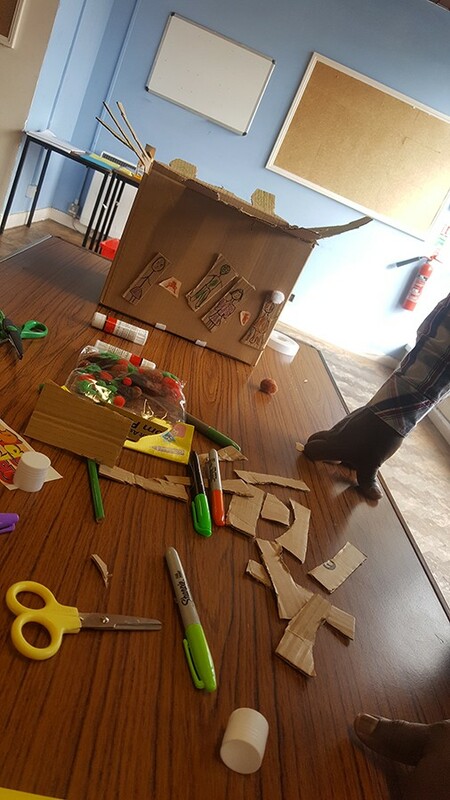 Aston-Mansfield has been working in east London for over 130 years and delivers a range of services through its community centres in Newham; this includes capacity building and development support for VCS organisations across east London. They identified a need among the groups they support to learn skills around how to evaluate and prove the impact of what they deliver, and in partnership we ran a few a few initiatives, including the provision of training for voluntary and community organisations on the topic of evaluation (which was fully booked in just a few hours!). The Evaluation Exchange grew out of our collaborative conversations, thinking about how we could respond to the growing need to build capacity for evaluation practice in the voluntary sector, and the need and desire for researchers to engage with communities and organisations. We realised that by working together we could break new ground in this field. We’re very pleased with the response to the programme; we have an impressive cohort of researchers and VCS groups who are enthusiastic and talented. 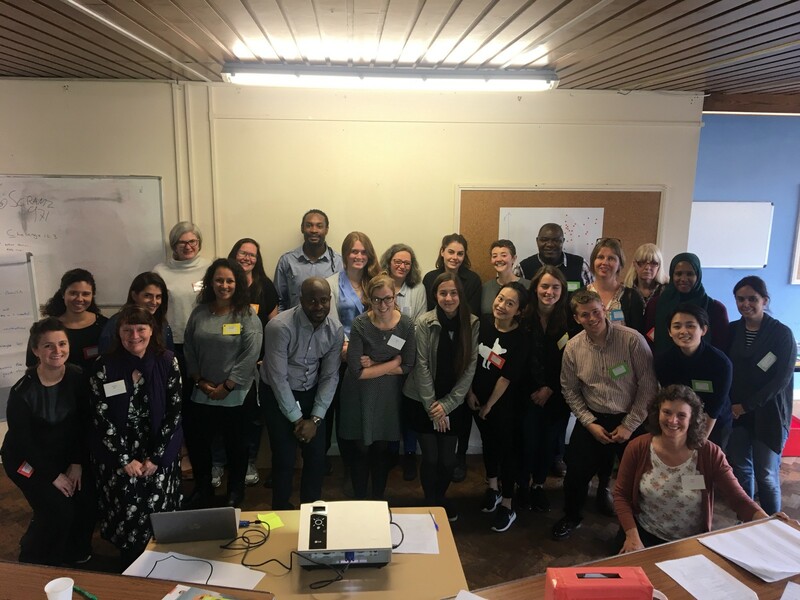 We’re excited about what we have achieved so far, and we are hopeful that this programme will give the researchers an opportunity to enhance their skills outside of a formal university setting and make connections with communities in east London. For the organisations, we’re hoping that this project lays the groundwork to create real and lasting change in relation to their approach to evaluation. That it will be able to highlight the work they do and help them to prove to funders and external stakeholders the value of their work. At the end of the placements we’ll be holding a symposium to celebrate the work that’s been done and share learning. If you want to know more about the Evaluation Exchange please get in touch! In the meantime we will keep you posted on how it develops and grows. UCL was founded on a vision to open education to the world. Back in 1826, this was radical and revolutionary thinking. It still is today. We believe in the power of open; in opening borders, eyes and minds. We’re a creative team animating and curating content at University College London.